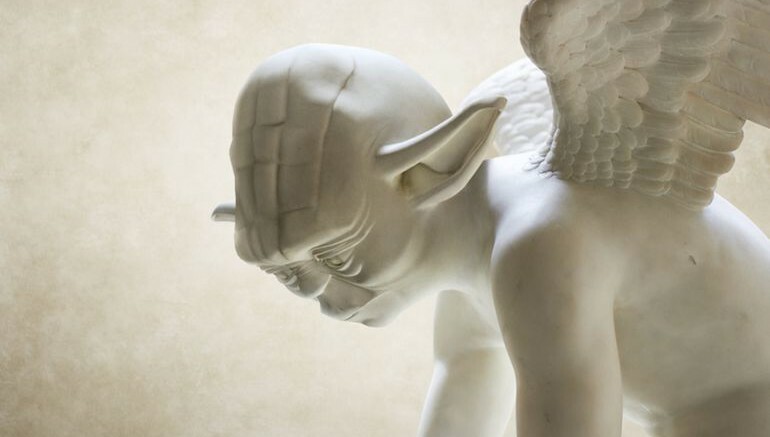 Travis Durden’s art is slightly unusual, to say the least. 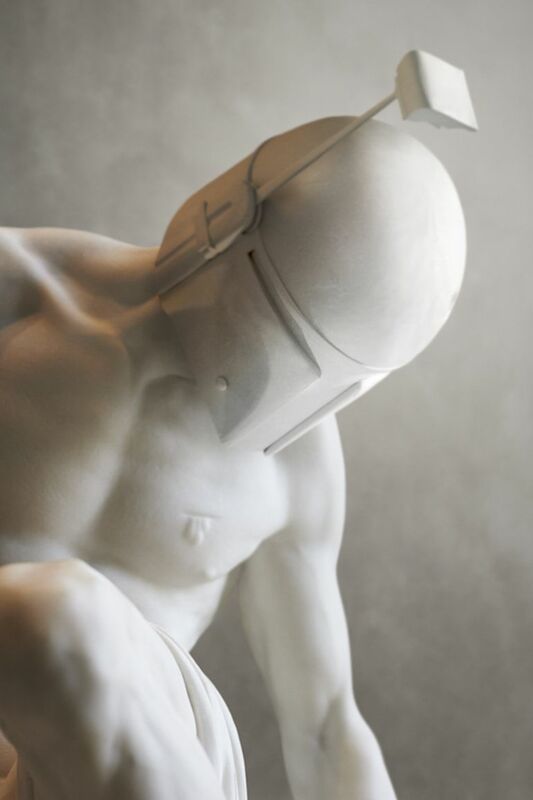 He is known to seamlessly combine his love for iconic Greek sculptures and contemporary pop culture into artworks that are altogether unique and a tad bit outlandish. 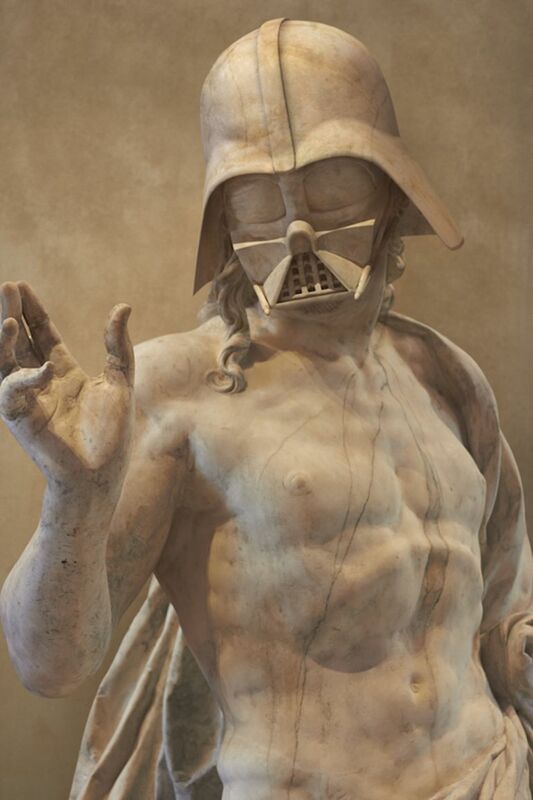 In his latest collection, for instance, the artist re-imagines some of the greatest Star Wars characters as ancient Greek statues. For the project, Durden visited Paris’s Musée du Louvre (or Louvre Museum), where he took pictures of some of the featured sculptures. 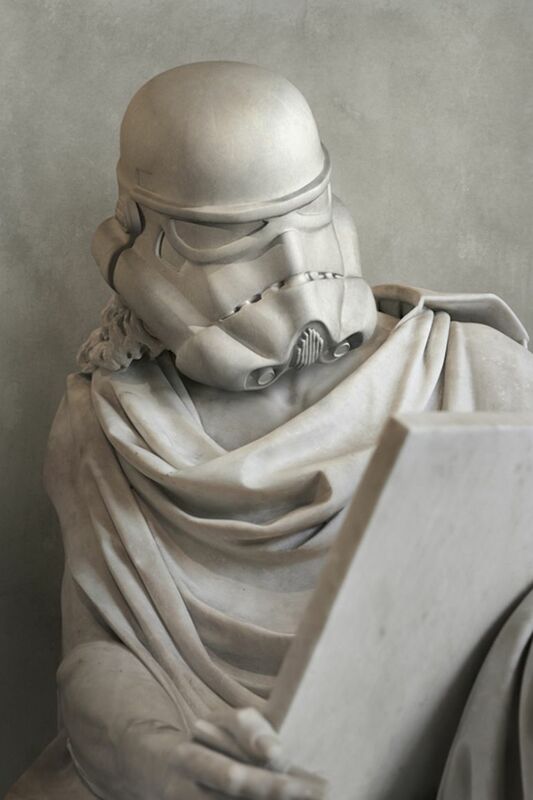 With the help of advanced digital technology and a skilled 3D modeler, he then refashioned the statues’ heads to look like famous Star Wars characters, including Darth Vader, Yoda and even the Imperial Stormtrooper. Finally, he collaborated with a retoucher to seamlessly superimpose the faces onto the original sculptures. He achieved this by creating a texture very similar to faux marble. The collection is currently on display at the Contre Attaque (i.e. 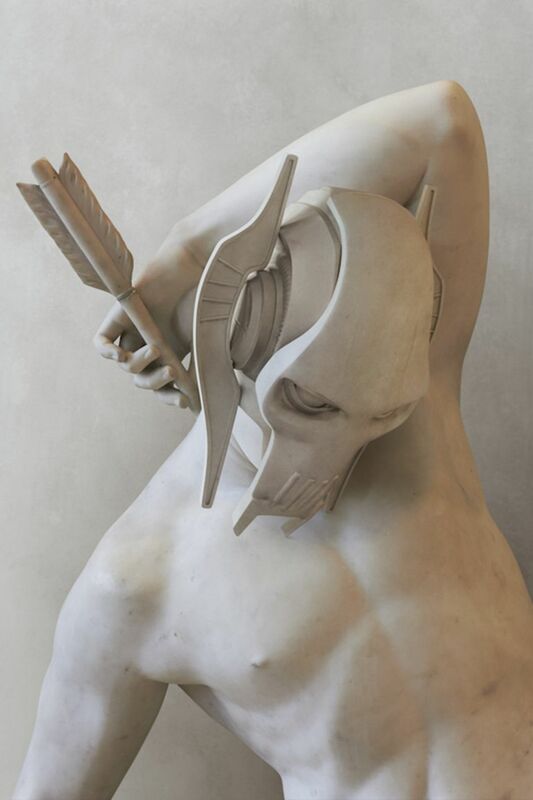 Counter Attack) exhibit, held at Galerie Sakura in Paris. To learn more about the artist, head over to his official website or his Facebook page.